This is our selection of best value Malbec wines. All of them are on the mid-range level, with prices between 8 and 15 USD. Note that not all of them are easy to find outside Argentina, and prices increase a lot outside of the country. We tried Las Perdices for the first time 2 years ago, and it became our favourite. It is still a great value wine, but the price increased last years and it now has more competition in its range. Tasting notes: Intense purple red colour. Complex berry aromas with delicate oak touches. Soft in mouth, balanced, plum and cherry notes. Ideal to serve with red meat, pasta, fish and white meat with spiced sauces. Region: Agrelo, Luján de Cuyo, Mendoza. Another favourite in Argentina, well known and easy to find. Ruby red colour with violet reflections. It is rich and intense without being strong. Tasting notes: Malbec with a tasty palate and good juice. It offers good complexity in the mouth with fruity flavours but also spicy and balsamic. Good balance between alcohol and freshness with sweet and friendly tannins. Long finish with a fruity aftertaste. An ideal wine for roasted red meats and pasta with Mediterranean sauces. Region: 80% Agrelo, 20% Finca el Cepillo, Mendoza. Another favourite from one of the main producers in the country, Catena Zapata. 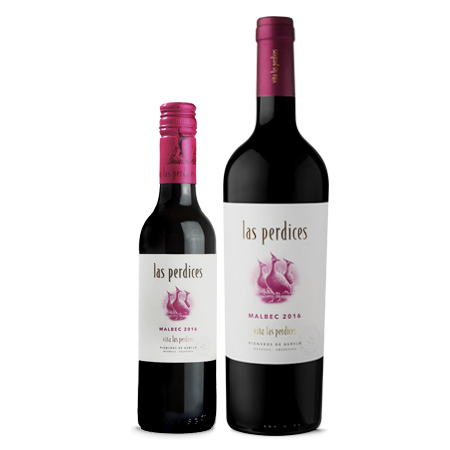 Tasting notes: Intense nose with Malbec traces of ripe, sweet plum and blackberry laced with Cabernet Sauvignon and Petit Verdot spice fragrances. Barrel ageing provides further complexity with delicate oak and vanilla flavours. This unctuous and jammy wine is ideal with honey glazed pork, grilled sirloin steak with orange sauce and lamb tagine recipes. Region: Vista Flores, Uco Valley, Mendoza. Light and tasteful organic Malbec, with showy name and label. Tasting notes: It is expressively fruity and fresh. With notes of plums, cherries, blackberries and currants. These flavours are consistent with the characteristics of this varietal. In the mouth it unleashes its full potential, combining soft tannins with an elegant and personal structure. The fruity notes mixed with a direct style, clinching the qualities of this magnificent specimen. Region: Uco Valley, Mendoza (from different vineyards with organic certification). An intense, full-bodied Malbec. Another great recommendation. Tasting notes: Violets, blackberries and grapes, subtle notes of coffee and tobacco. Concentrated, voluptuous, structured by the tannins, smooth, intense and elegant. Fruity, rich an intense. A delicious and solid red. Tasting notes: Aroma of ripe prunes, dry fruits, and liquorice. Subtle notes of vanilla seeds. Elegant entrance, good structure with full-bodied tannins. Lingering finish with mint notes. Imposible by Maal wines is not easy to find and it is more expensive than the rest on the list. It is considered a more “crafted” Malbec, as the winery started experimenting with French oak staves inside the cement vats, instead of using traditional barrels. Tasting notes: Exotic, earthy aromas of loamy blackberry, pencil eraser, brown sugar and violet petals lead to a deep but wiry and clipped-feeling palate. The flavour profile is oaky, with spiced berry and cardamom notes leading the charge. A lasting finish is stern and doesn’t waver. Region: Vistaflores West, Tunuyan, Mendoza. If you want to visit a coastal city in Argentina, have a look at “Best of Mar del Plata“. To know the best Argentine food, visit “Top 10 foods you MUST try in Argentina“.